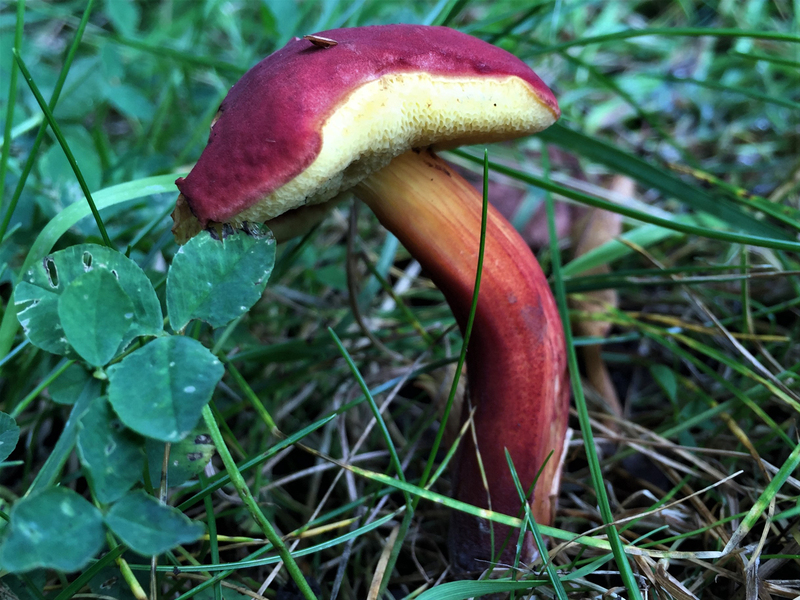 These are fairly rare mushrooms in the UK and as they also have a soapy taste they are best left for photographs. 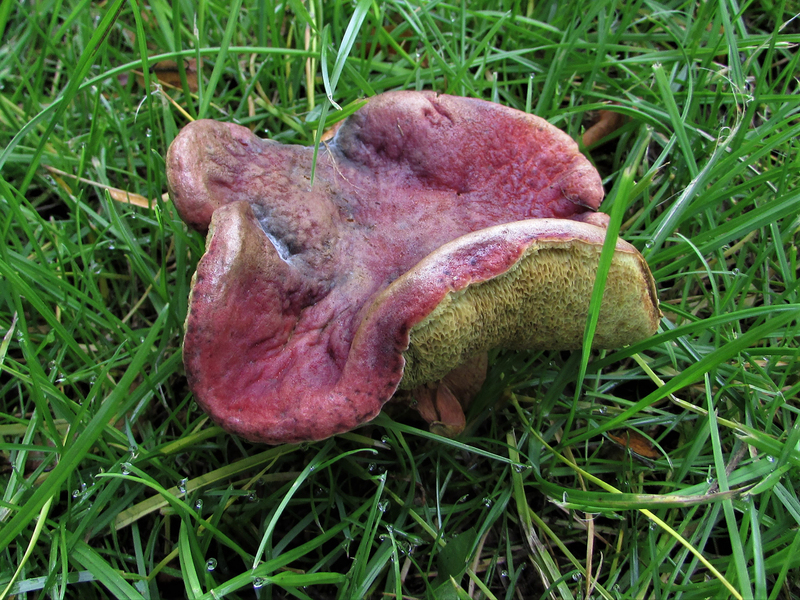 Scarlet red fading to olivaceous red, dry and slightly velvety. 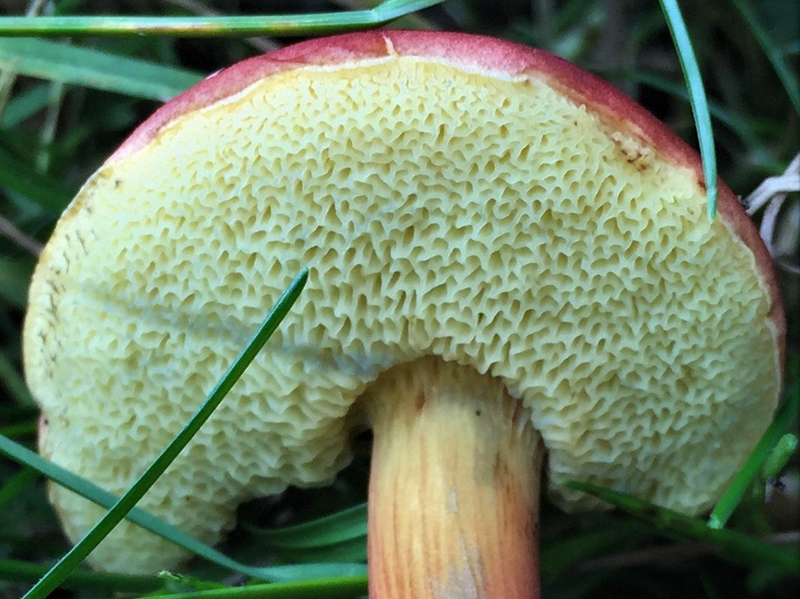 Starting convex but flattening out with age. 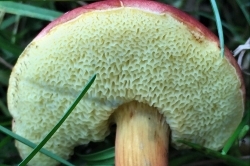 Yellow pores that fade a bit greenish with age and bruise blue slowly. 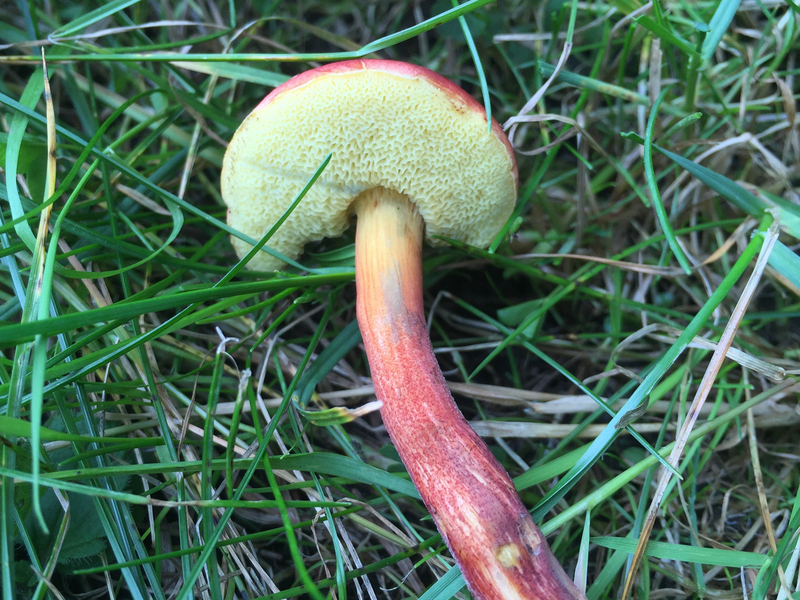 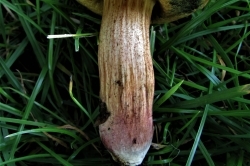 Red with a yellow top under the cap and yellow mycelial threads. 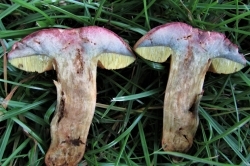 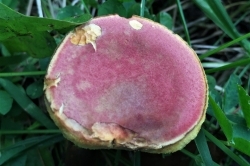 Yellowish staining blue when cut with red to pink just under the cap cuticle. 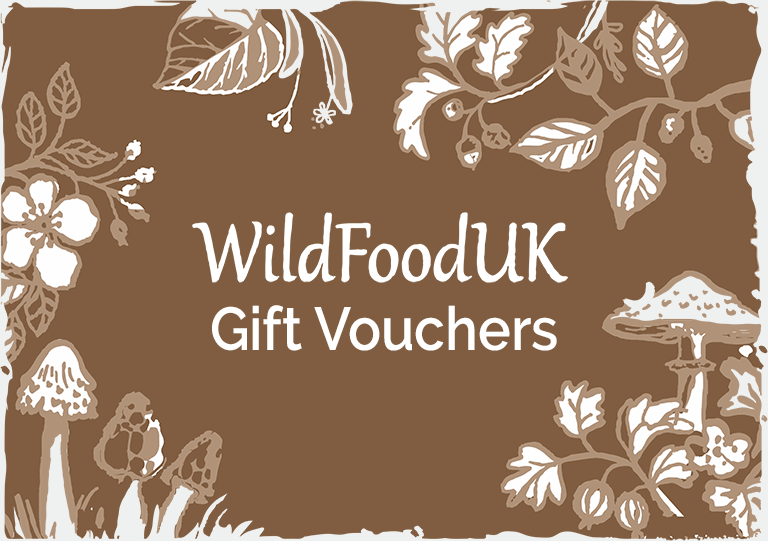 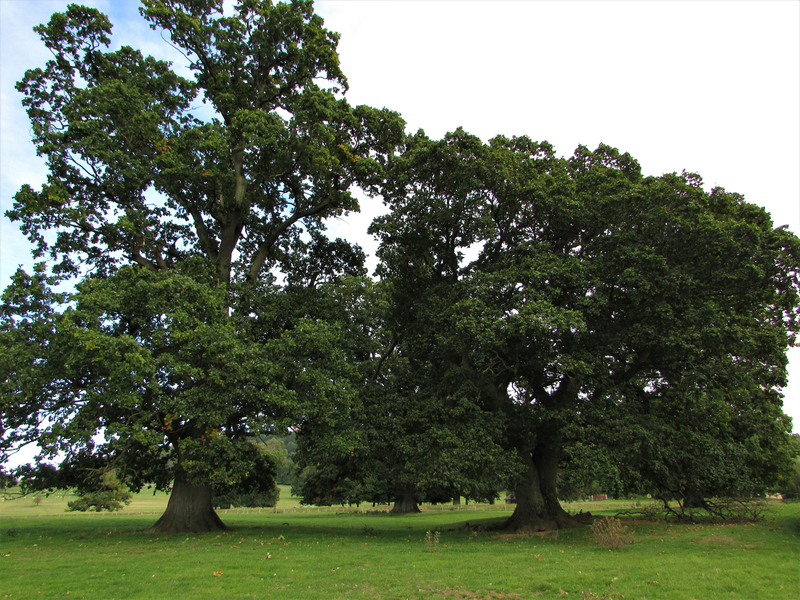 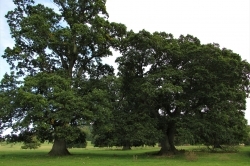 Grassy woodland or or parks and gardens particularly with oak sometimes with beech. 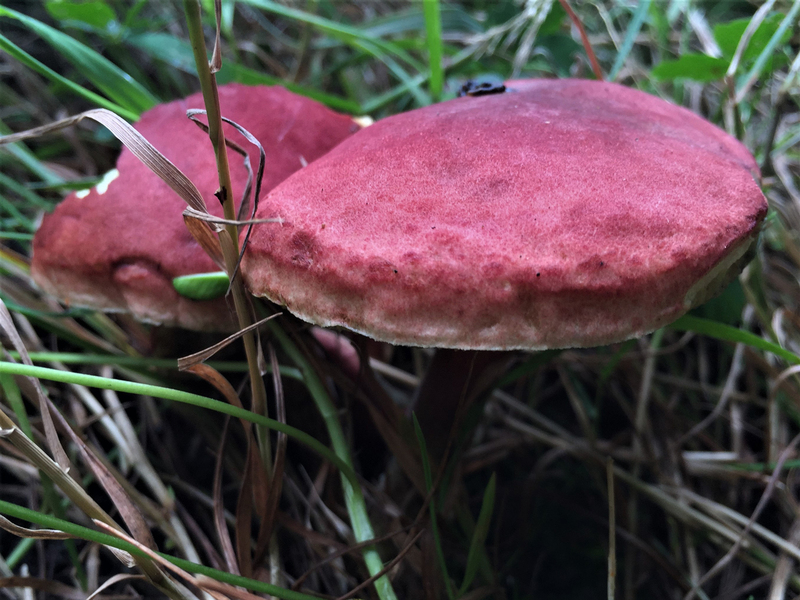 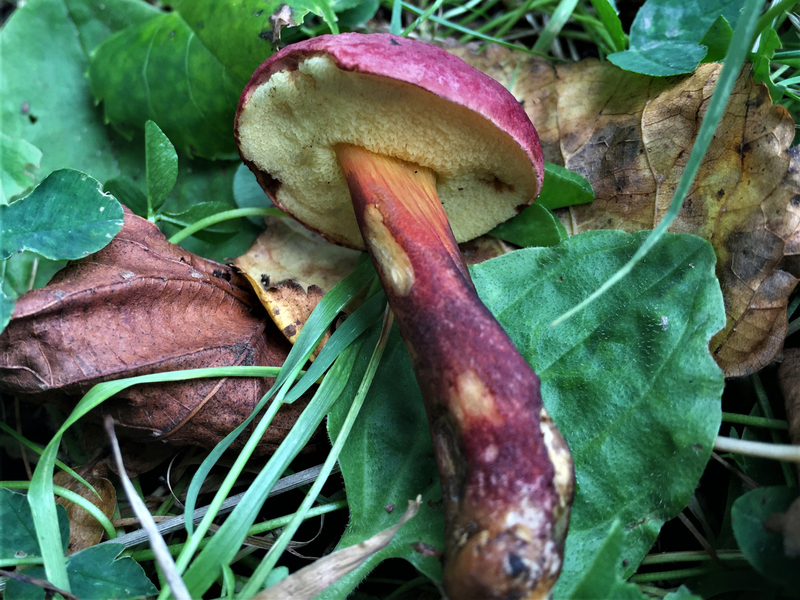 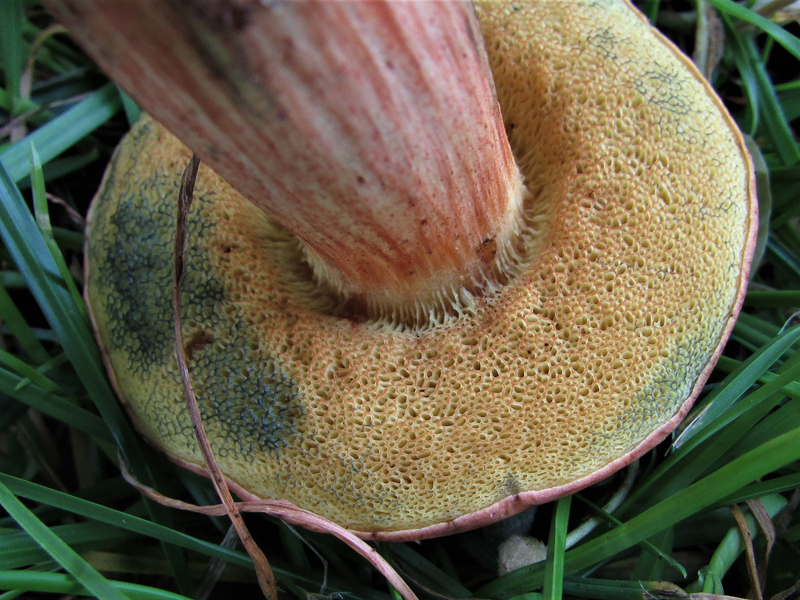 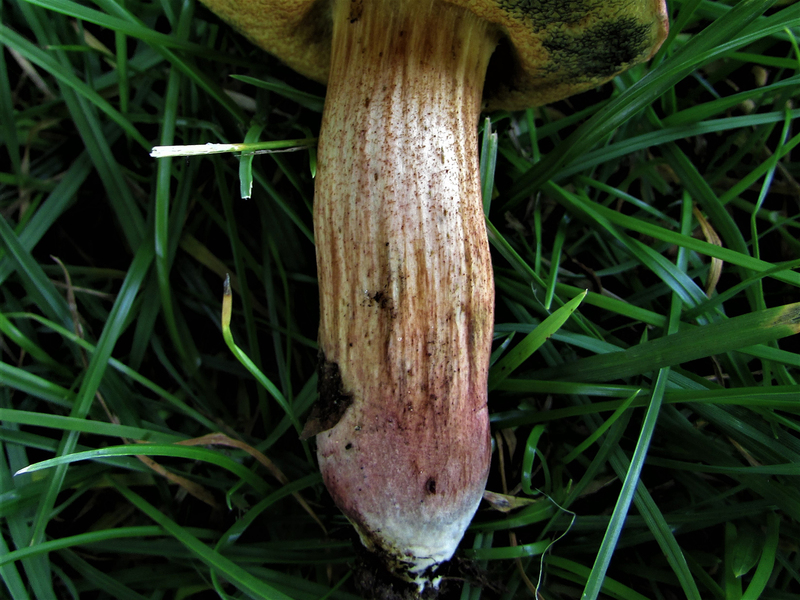 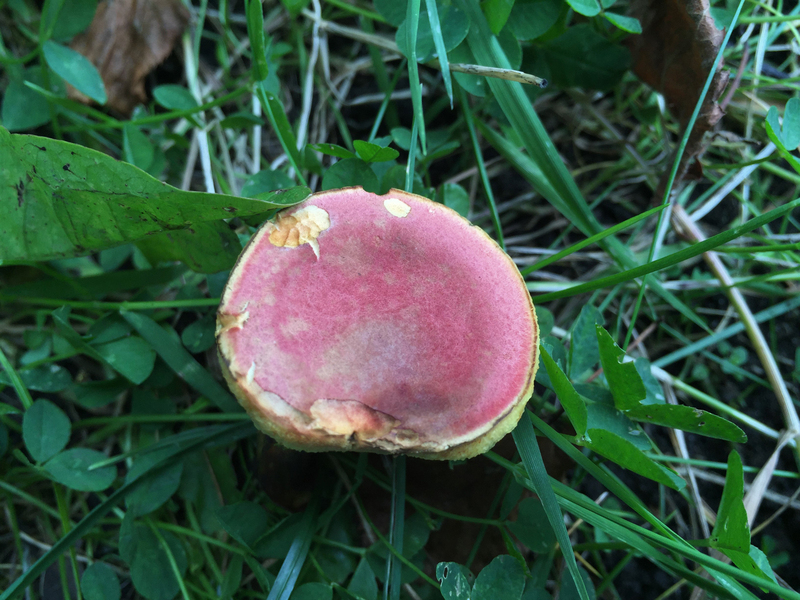 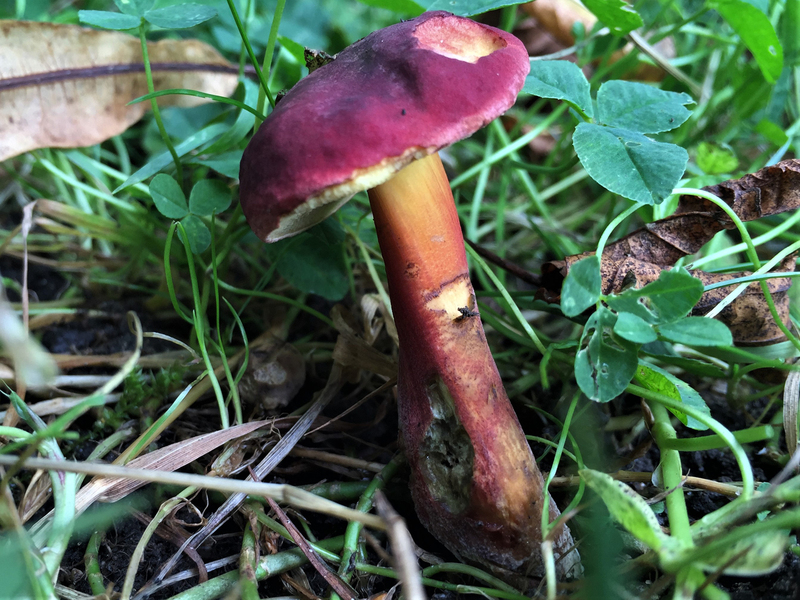 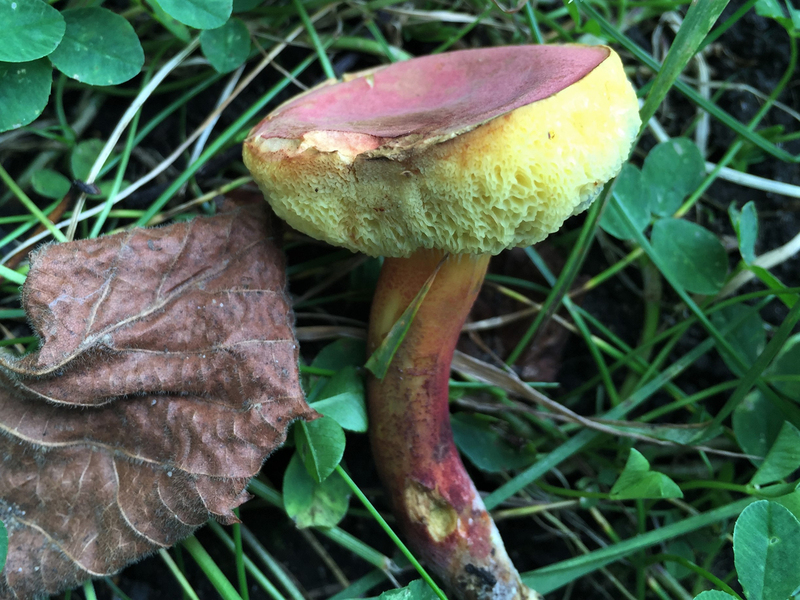 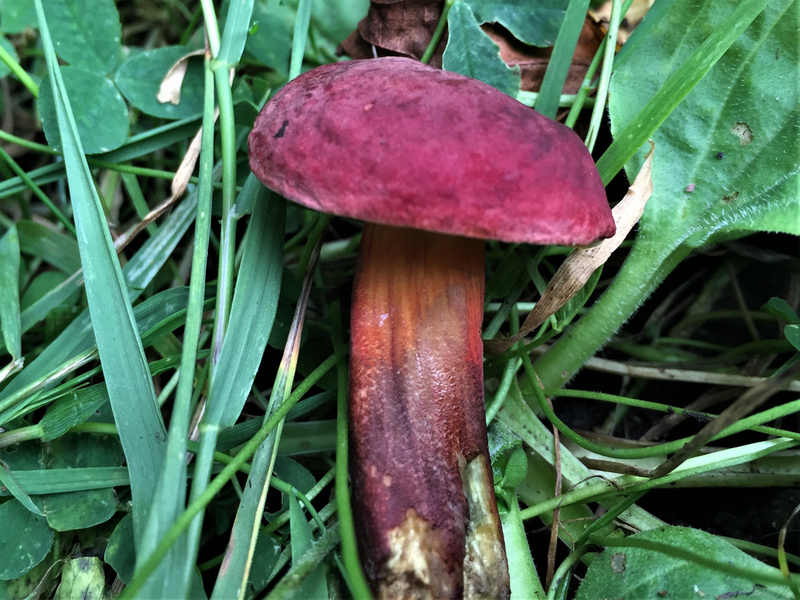 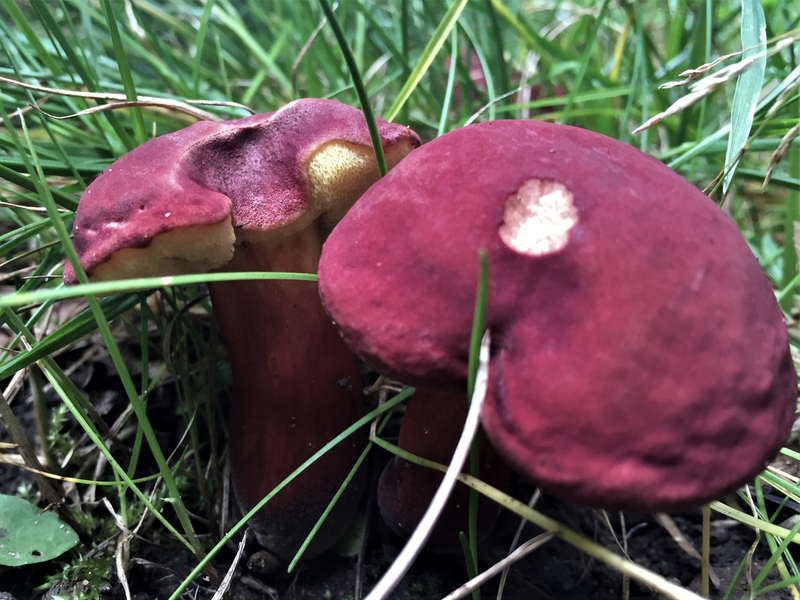 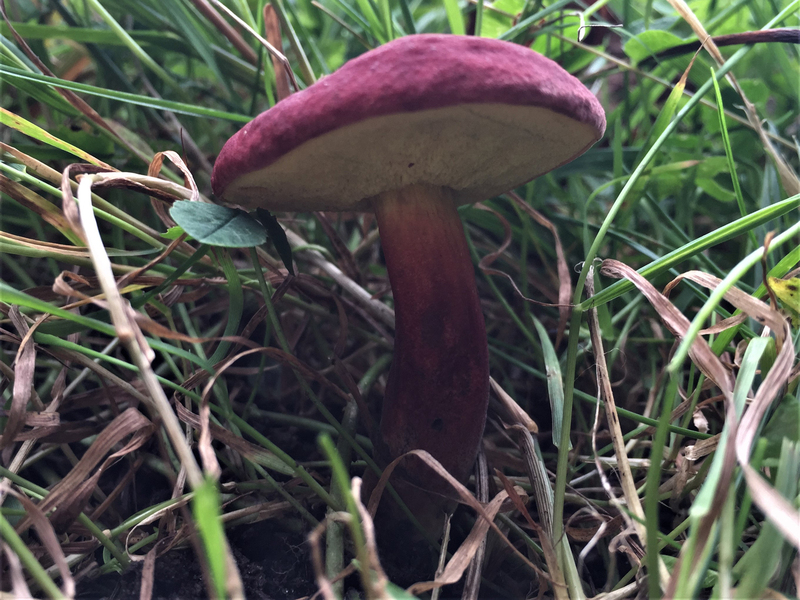 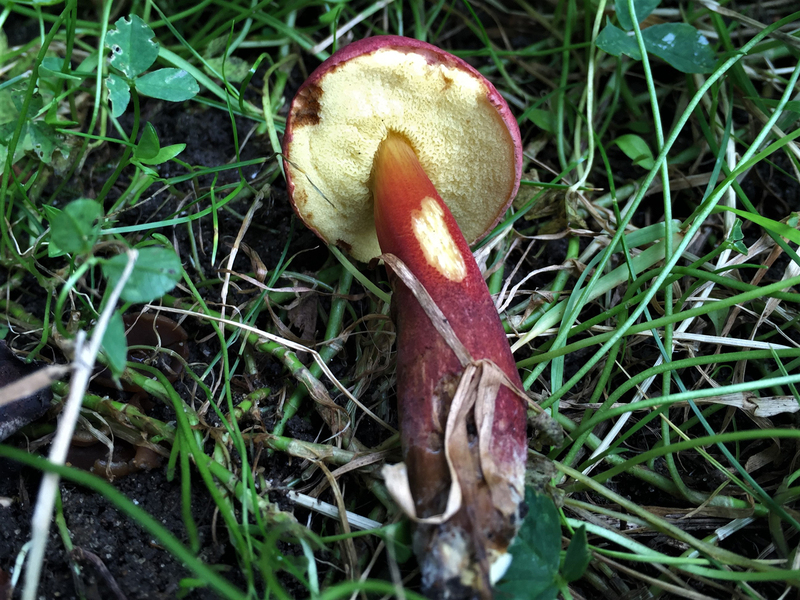 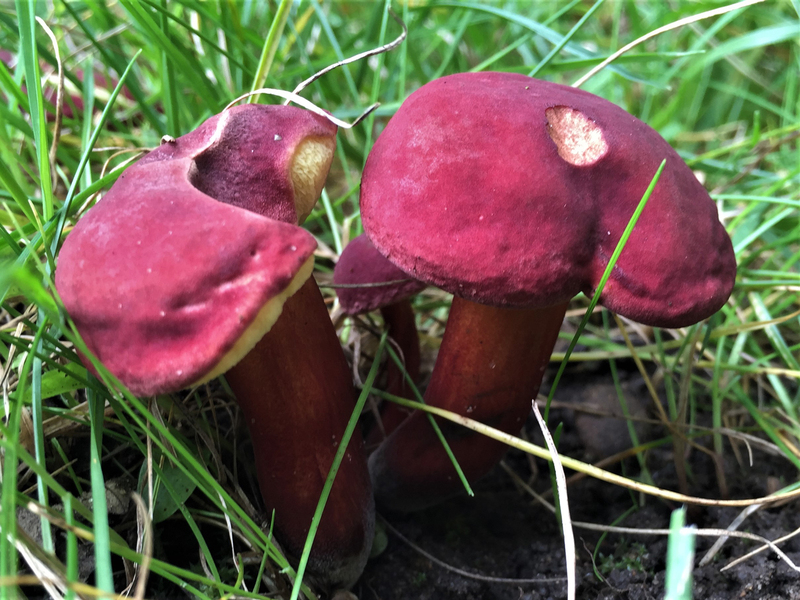 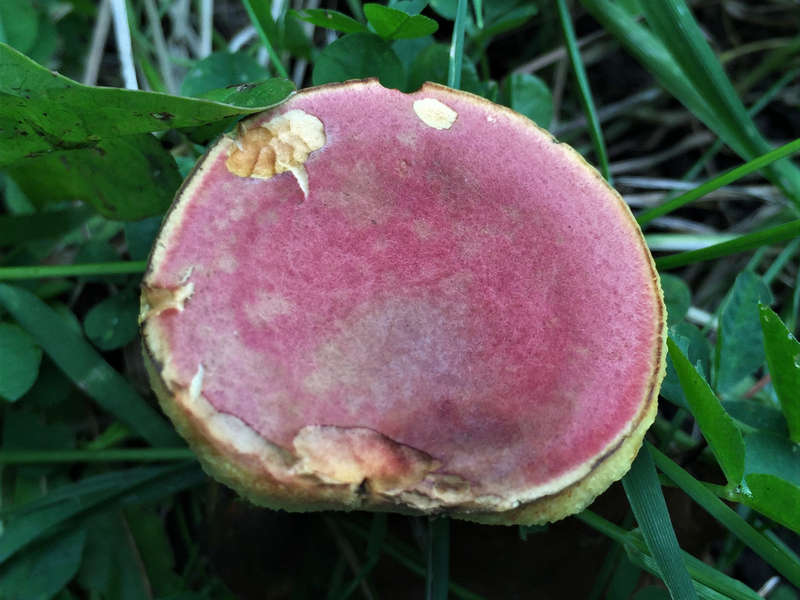 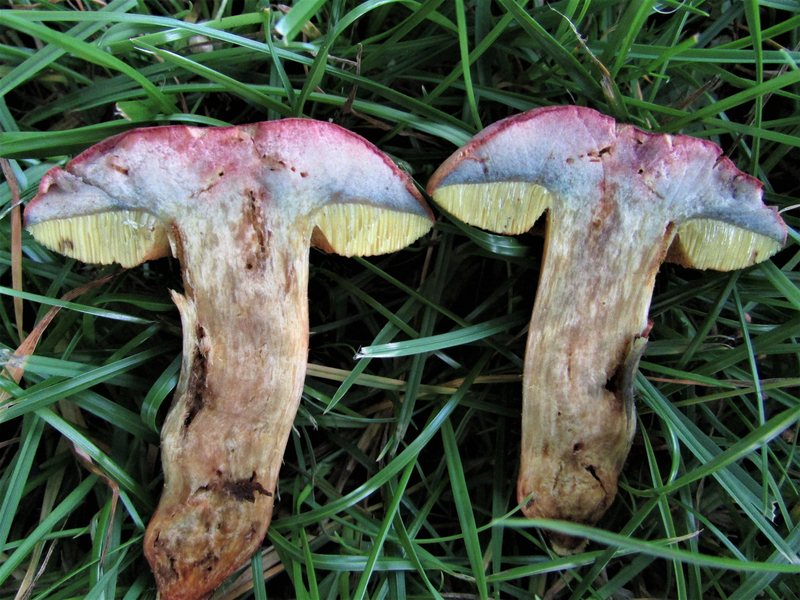 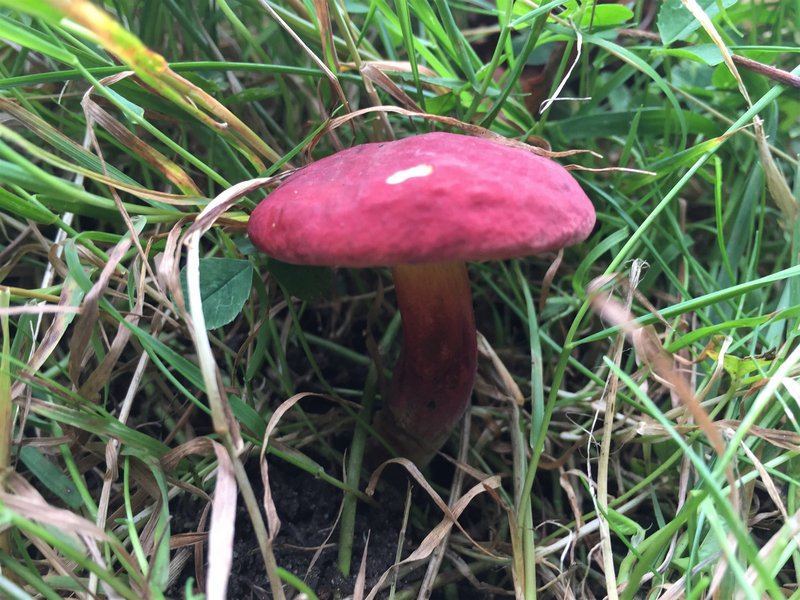 A fairly distinctive mushroom with a couple of rare lookalikes in the Bolete family.